The Romance Bandits are celebrating 8 fantastic years of blogging together in a HUGE way. They are hosting a Facebook Bandits’ Bash Blogiversary Party on May 8, from 9 am – 11 pm ET. Giveaways every 15 minutes! And at the end, one lucky commenter will win the HUGE Grand Prize: a Kindle Paperwhite and e-book bundle from the Romance Bandits! Don’t miss it!! 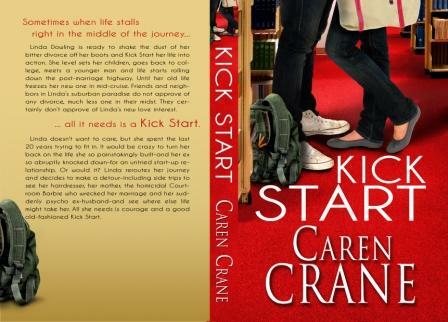 My debut release, Kick Start, Book 1 in the Cross Springs series is now available in a gorgeous print version. It is only available through Amazon’s CreateSpace imprint, though, so if you want one you need to buy it here. Definitely worth having in print!